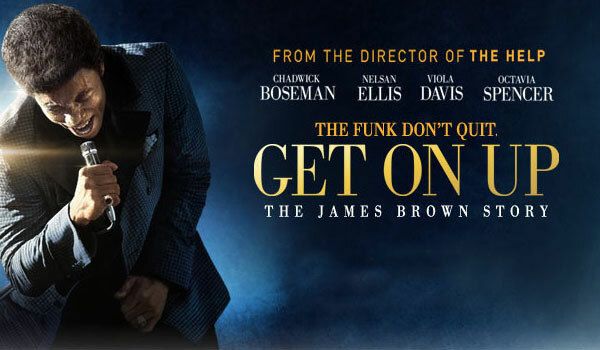 Get on Up: James Brown (Chadwick Boseman) was born in extreme poverty in 1933 South Carolina and survived abandonment, abuse and jail to become one of the most influential musicians of the 20th century. He joined a gospel group as a teenager, but the jazz and blues along the “chitlin’ circuit” became his springboard to fame. Although his backup musicians came and went, Brown retained the ability to mesmerize audiences with his music, signature moves and sexual energy.